Eat your heart out, custom amiibo! 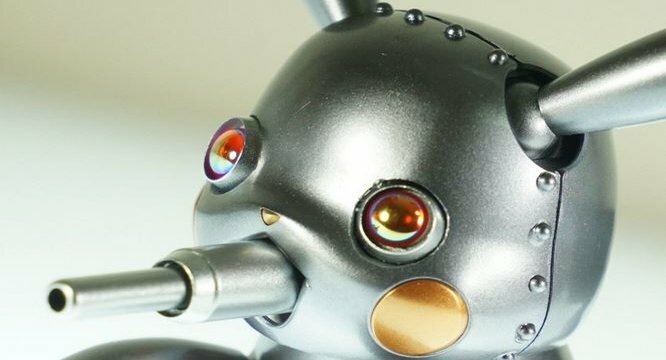 Now there’s something you don’t see every day: someone taking apart a Japanese Pikachu action figure and reconstructing the lovable mascot into a robotic Mecha Pikachu terror! As documented by Nintendo Soup, Shinpei Makoto — a Japanese tinkerer of poseable figurines — put his wild plan into action upon purchasing a PokePura Pikachu figure, disassembling Pokémon‘s mouse via a gruesome procedure perhaps too graphic for some readers. The horror! But don’t fret: Mr. Makoto’s certainly no amateur, and we’d like to think the newly-christened “Mechachu” itself wouldn’t be anything but satisfied with the operation’s results, as seen below. Yowza, check out that rocket punch! I wouldn’t want to mess with that mouth-operated turret, either. Regardless, Mr. Makoto’s Mechachu oozes professional talent akin to an official product; why, he’s deigned it fit to give the little guy some lore (as opposed to Pikachu, it’s a Steel/Fairy type). With the ambitious risks The Pokémon Company’s taken with Pikachu in the Pokémon: Detective Pikachu film, perhaps this is the logical next step? Do you want your own Mechachu? Let us know in the comments below!